Lakes Superior, Michigan, Huron, Erie, and Ontario are the five Great Lakes of North America, and together they are the biggest fresh surface water source that the Earth has to offer. The lakes were developed 14,000 years ago as a result of Glacial Erosion; that is, they were left behind after the Laurentide Ice Sheet receded. The Great Lakes have delicate ecosystems, which was not realized until the 1970s. In order to restore the Great Lakes to a healthy ecosystem, the Great Lake Restoration Initiative has been put into effect. 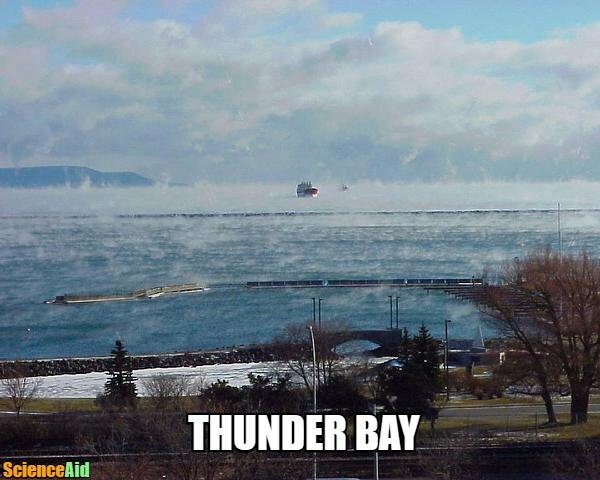 To help you understand the Great Lakes here is some basic information. The Great Lakes have two other names: Laurentian Great Lakes and Great Lakes of North America. President George W. Bush published an executive order in 2004 that named the Great Lakes a "national treasure." The Great Lakes have also been called inland seas. They receive this name because they resemble seas due to their rolling waves, strong currents, and considerable depths. 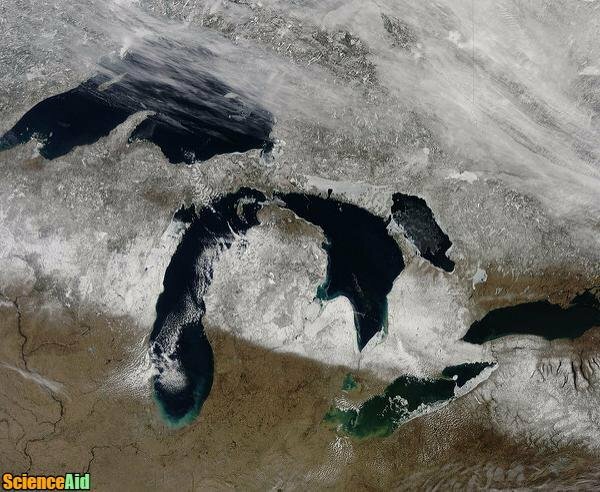 The Great Lakes are visible from space as they canvas 244,100 square kilometers or 94,250 square miles. In comparison, the United Kingdom is 242,495 square kilometers or 93,628 square miles. The Great Lakes contain about 6 quadrillion gallons of water. This is 21 percent (or one-fifth) of the world's surface fresh water. There are around 35,000 islands on the Great Lakes. Lake Superior is the second largest lake in the world (the Caspian Sea is the largest); Lake Michigan is the largest lake contained within one country. In order to restore the Great Lakes' ecosystem, certain areas need protection. Additionally, harm-inducing sources need to be fought. There are two main areas that need protection: habitats and wetlands. Habitats are environments that are homes for organisms (which includes both animal and plant species). Many of these homes in and around the Great Lakes have been destroyed due to pollution, invasive species, shoreline development, ships, and the removal of water from the Great Lakes. The Great Lakes wetlands include areas such as vernal pools and coastal marshes; however, 50 percent of these wetlands have been lost. Factors that deteriorate these wetlands include invasive species, removing and adding water, and land development. There are two main sources that harm the Great Lakes: toxic substances and pollution and invasive species. Toxic substances and pollution that harm the Great Lakes include phosphorus and PCBs. Phosphorus. Phosphorus can come from city and town waste as well as from country and city runoff, and this chemical helps nuisance algae grow. Nuisance algae harm the Great Lakes as they deplete oxygen and endanger other lake organisms. The Great Lakes are infested with many invasive species: zebra mussels, quagga mussel, round goby, sea lamprey, alewife, Asian carp, purple loosestrife, and Eurasian milfoil. Invasive species harm the Great Lakes by challenging native species, changing habitats, and altering food webs. There are more than 180 invasive species infesting the ecosystems of the Great Lakes. In the 1960s, algae took over Lake Erie and the lake was pronounced dead. Recognizing that something needed to be done to help save and preserve the Great Lakes, the Canadian and American governments began to take action. Multiple measures were taken to restore the health of the Great Lakes and Areas of Concern were identified. As of 2017, 7 areas of these Areas of Concern have been recovered and 2 are currently undergoing recovery. The Great Lakes Water Quality Agreement was established between Canada and the United States of America. This agreement meant that the two countries would work towards correcting the water quality issue of the Great Lakes. Forty-three Areas of Concern were identified. These Areas of Concern were areas that's ecology had been put under a huge amount of strain. There were 26 Areas of Concern in the United States of America and 17 Areas of Concern in Canada. The Great Lakes Interagency Task Force was formed under the United States of America's President George W. Bush. This task force consisted of 11 people (who were leaders of federal agencies), and their job was to organize a way for the Great Lakes to be restored. The Great Lakes Regional Collaboration Strategy to Restore and Protect the Great Lakes was created by the Great Lakes Interagency Task Force. The United States of America's President Barack Obama and the United States Congress funded the Great Lakes Restoration Initiative. Bellow is a list of the 33 areas that are currently (2017) classified as Areas of Concern and the countries they are located in. There are 7 Areas of Concern in Canada. There are 22 Areas of Concern in the United States of America. There are 5 Areas of Concern that are shared between Canada and the United States of America. As of 2017, there are 2 Areas of Concern that are listed as in recovery. Both are in Canada: Jackfish Bay and Spanish Harbour. To date (2017), 7 Areas of Concern have been recovered. Three of the Areas of Concern that have been recovered are in Canada. Four of the Areas of Concern that have been recovered are in the United States of America. MLA (Modern Language Association) "Great Lake Restoration Initiative." ScienceAid, scienceaid.net/Great_Lake_Restoration_Initiative Accessed 25 Apr 2019. Chicago / Turabian ScienceAid.net. "Great Lake Restoration Initiative." 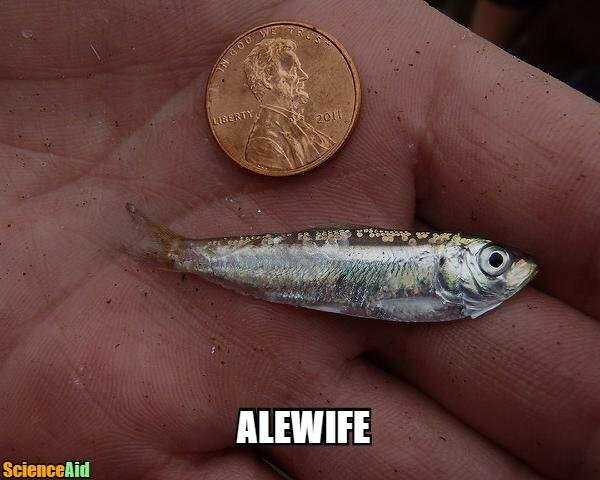 Accessed Apr 25, 2019. https://scienceaid.net/Great_Lake_Restoration_Initiative.